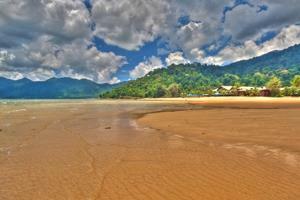 Tioman Island is located in the regions of Pahang state in Malaysia, despite being geographically closer to Johor. This island is known for its densely forested nature and is surrounded by numerous coral reefs, making it an absolutely beautiful place for a relaxing vacation and a suitable scuba diving spot. In the 1970s, it was even named as one of the world’s most beautiful islands by TIME Magazine. Since Tioman is an island, you can only get there by a ferry. Therefore, since there is no bus to Tioman Island, you can proceed to one of the most popular gateway to Tioman Island instead, which is at Mersing in Johor. Some of the operators that provide the bus heading to Tioman Island through Mersing includes Transnasional, S&S International Express, Causeway Link Express, Cepat Express, Utama Express and more. Additionally, the old bus terminal in Mersing is a mere 10-minute walk from the jetty that allows access for the ferry to Tioman Island, whereas the new Mersing Bus Terminal takes only 2 minutes to walk to the jetty. The ferry would normally cost about RM6 to RM10 for each trip. Currently, most of the express bus to Tioman Island through Mersing will pick-up and drop off passengers at the new Mersing Bus Terminal, which is located at Jalan Abu Bakar. As an added advantage, the bus terminal is just about 1 to 2 minute walk from the jetty that brings passengers to Tioman Island by ferry. Air Batang (ABC), Juara Beach, Tiger Reef, Golden Reef, Karang Tohor, Juara House Reef, Tioman Dive Centre, Freedive Tioman, Panuba Bay, Juara Turtle Project, Asah Waterfall, Three Little Islands (Sepoi, Labas & Soyak Island). 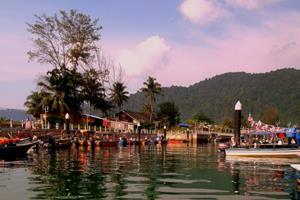 Book your tickets for the bus to Tioman Island through Mersing today!